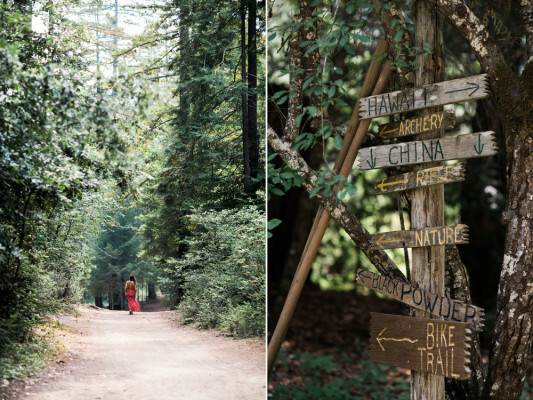 Disappear into this 200-acre wine country and camp retreat. Available to the public for the first time in 100+ years, this hidden coastal valley is a historic camp that has re-opened it's doors. 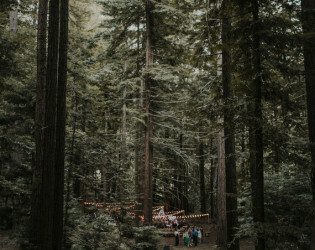 Escape into the twinkling forest to return to everyday life with a renewed sense of wonder. 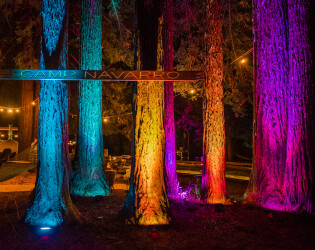 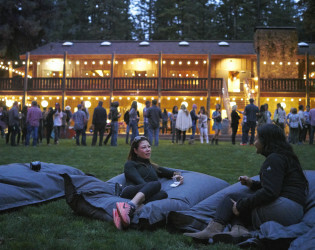 Camp Navarro is one of the most unique event venues in California. This historic former private retreat is situated on 200 acres in the Redwoods of the Anderson Valley wine country. 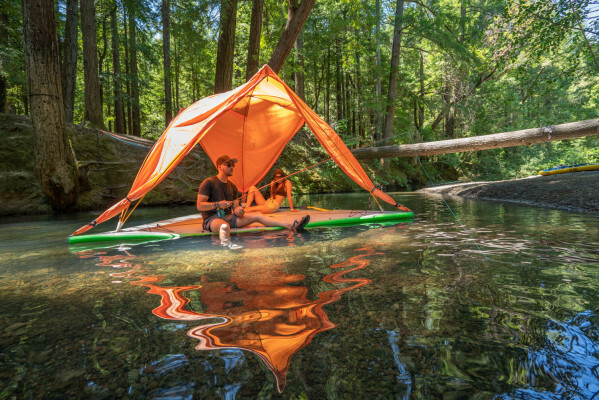 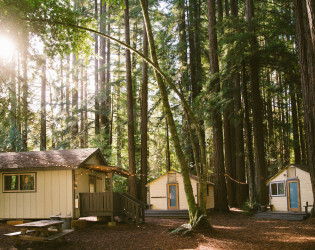 A fork of the Navarro River meanders through the property and 32 cabins dot the landscape as well as 11 villages with cabins, tent space and 12 three sided Adirondack structures, each containing 5 beds. 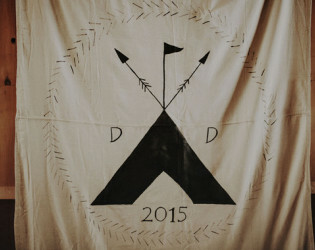 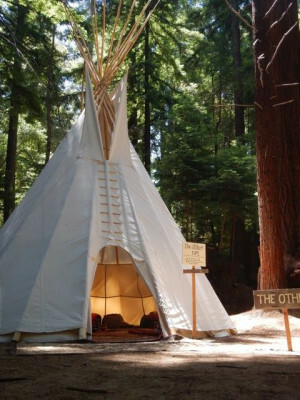 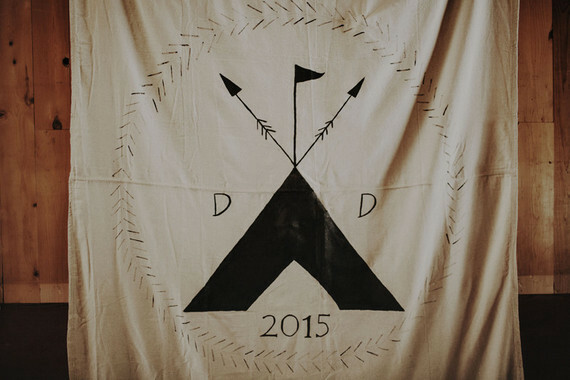 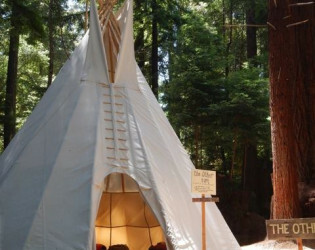 We also have up to 68 Glamping Teepees & Tents. 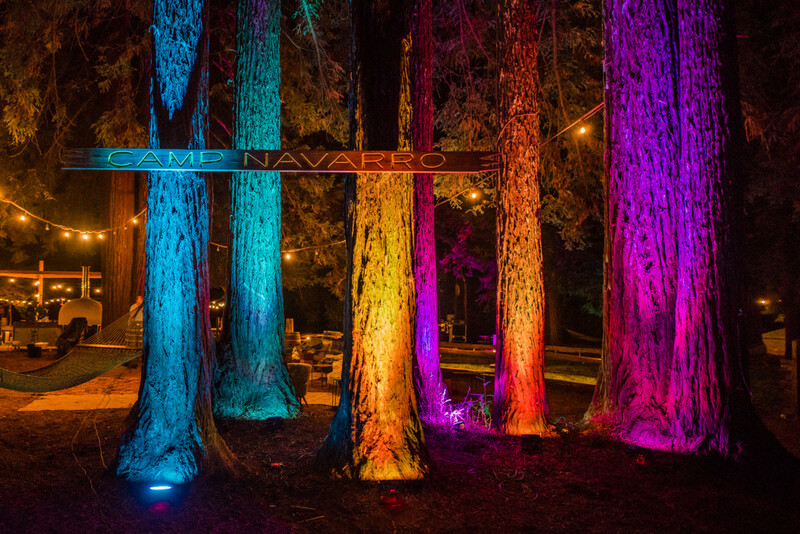 Camp Navarro has over 400 beds and additional capacity for hundreds more as needed in BYO tent, RV or additional 'pop-up' lodging. 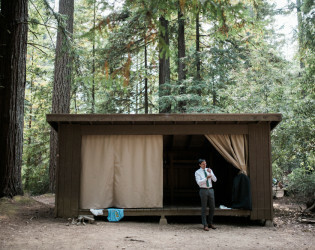 Our 10,000 Sq/ft. two level lodge contains a 4500 SF dining room and dance hall with old growth redwood flooring, 8 French Doors, outdoor decks and a massive fireplace. 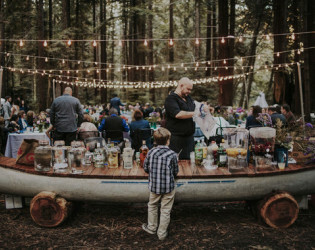 Our chef has background in both casual and fine diningand we take great pride in cooking from our wood fired pizza oven and using local products. 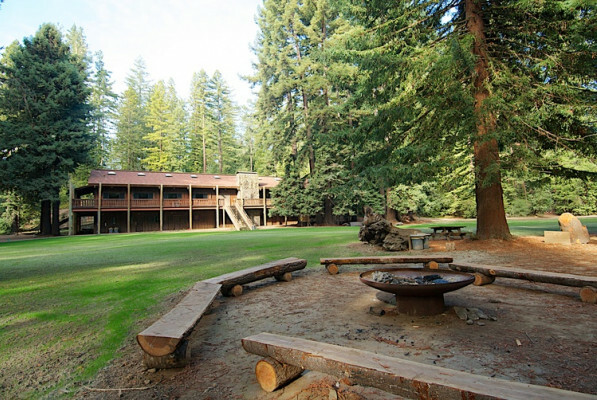 The main lodge sits next to a two acre grass plaza and event area next to the river perfect for dining, dancing, games, and lounging around our spacious campfire area and hammocks. 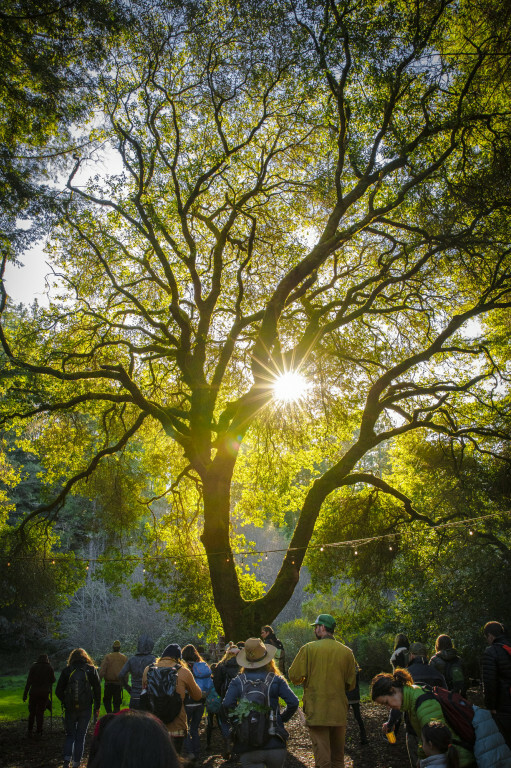 The property has an arts and crafts area, cafe/lounge, 300 seat amphitheater, archery range, meditation areas, games galore, rope swing and numerous special hidden nooks and crannies. 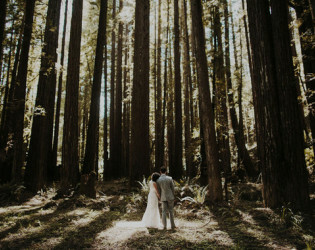 We are located among the Redwoods just minutes from the spectacular Mendoccino Coast and a dozen world class wineries. 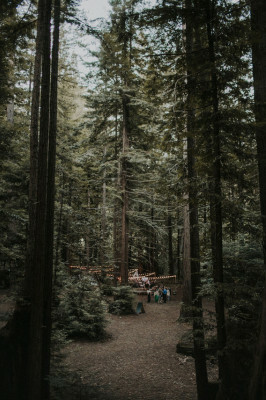 Truly the best of all worlds! 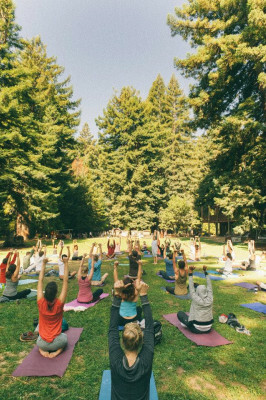 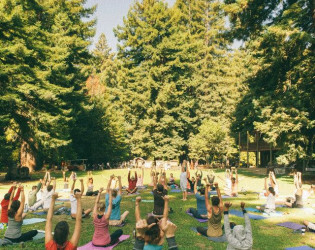 Our clients include weddings, wellness retreats, music festivals, corporate clients including Google, Linkedin Y Combinator and The Battery, and world class programs like Camp Grounded, an adult tech free summer camp, and Spirit Weavers. 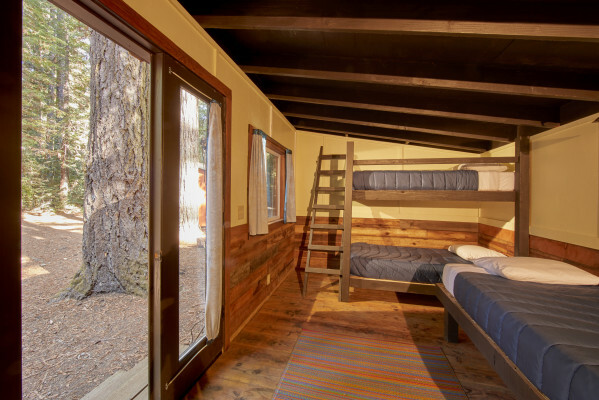 We typically provide 'turn-key' rental of the property including lodging, meals, activities and various equipment. 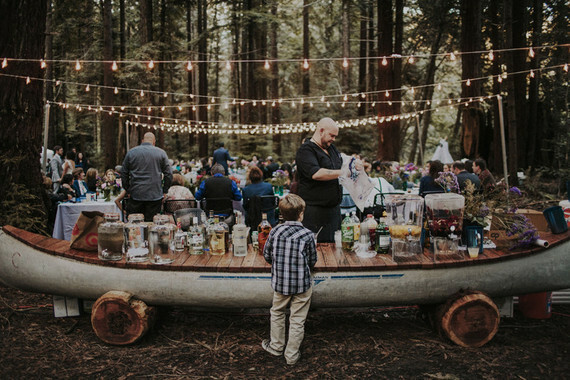 Alcohol is additional as is rentals needed beyond our standard equipment including chairs, tables, AV/Sound equipment and wifi. 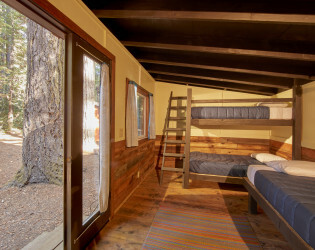 32 Cabins with capacity from 2-8 people plus a honeymoon cabin. We lease 120 acres of land from our neighbors who have 350,000 acres of private land so we have exclusive access to land nobody else does. 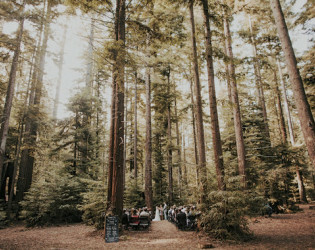 Anderson Valley not only has world class wine, food and nature but is home to a secret language called Boontling that if interested, we can bring someone onsite to explain the unique history and language. 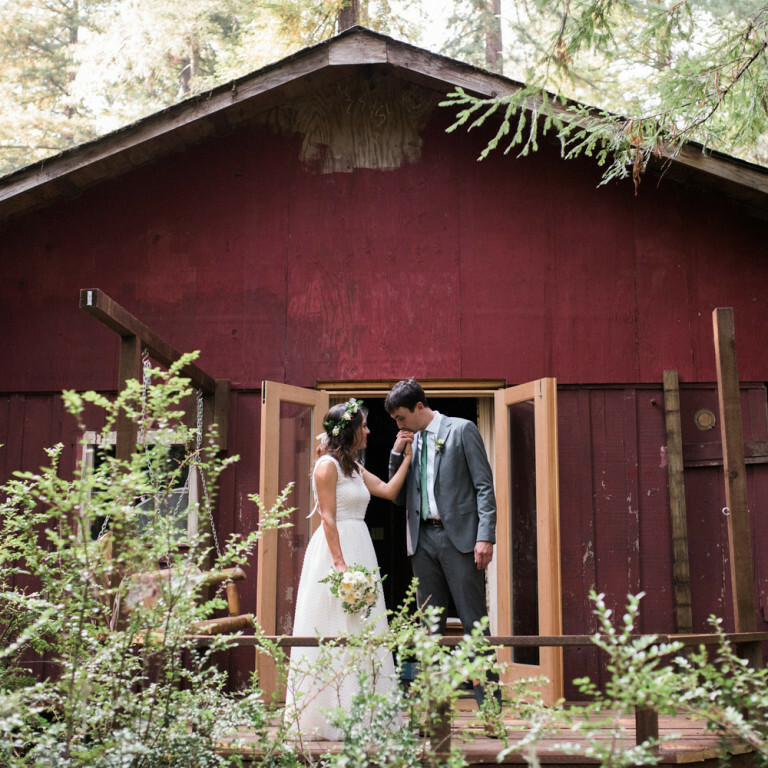 100+ years of history are the backdrop for our stunning property that until 2013 was not open to the public. 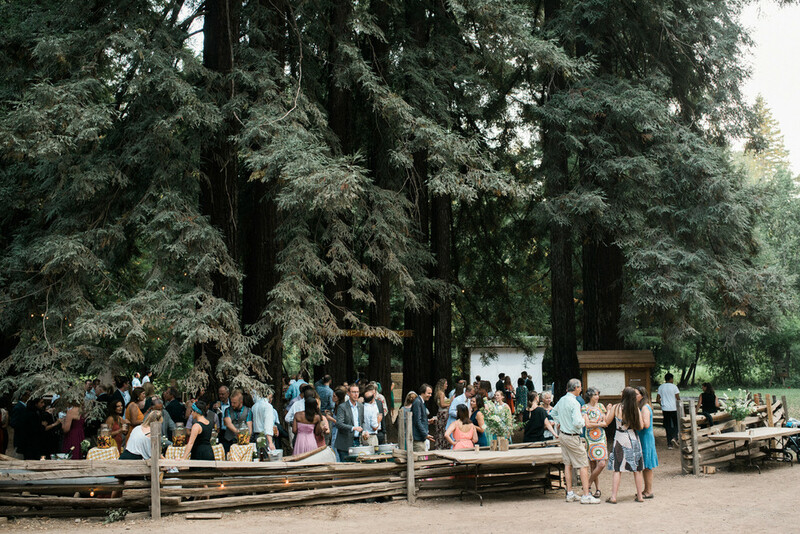 Today, Camp Navarro is a premier Wine Country venue to gather friends, family, and colleagues for diverse public and private gatherings. We strive to find a balance between 'rustic' and the finer touch points like down bedding and great food and wine. In this day in age, our goal is to allow you to slow down and connect with nature, friends and yourself. 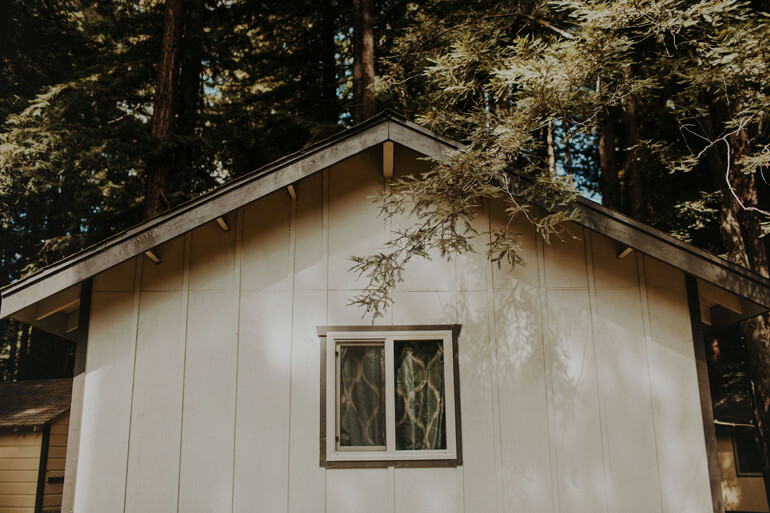 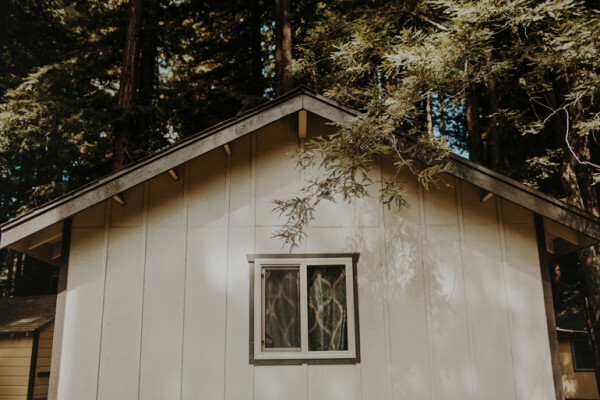 Redwood trees, a friendly meandering river, quaint idyllic accommodations throughout the redwoods, and a massive two story lodge are the cornerstones of our property. 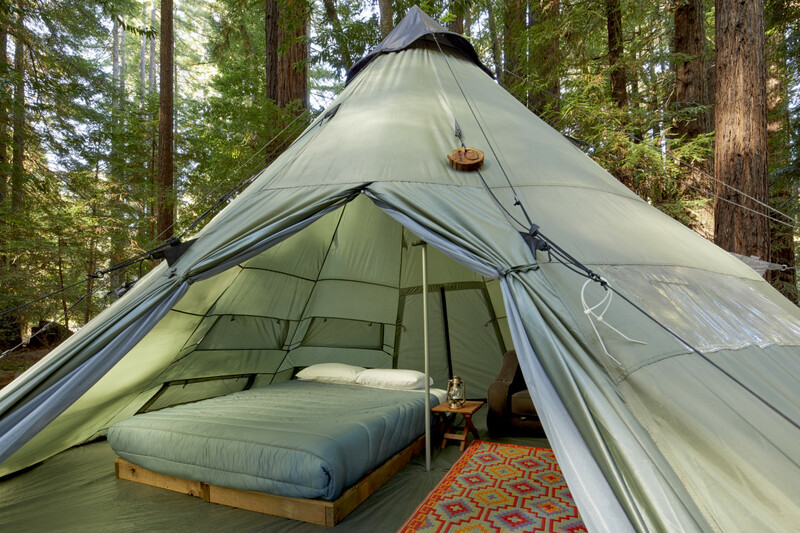 Rounding out the experience are little touches like an ideally situated hammock, a hidden 'hollow', wood fired pizza oven, tether ball, s'mores and campfires and trails meandering all over. 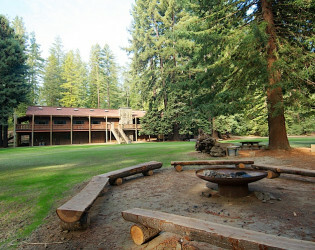 Nature is the star at Camp Navarro but we have a beautiful and very nostalgic property that most everyone appreciates. 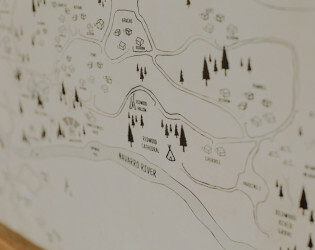 Classic wood signs, knotty picnic tables, string lights, hammocks, expansive decks, historic art, and idyllic cabins are all part of the design. 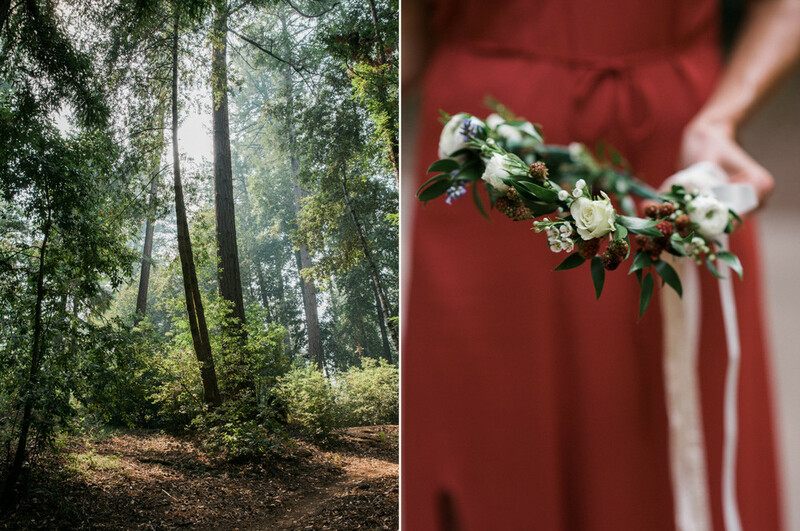 Wood Scultptures also appear throughout our property as Tonu Shane, a world class carver, is an artist in residence. We have added our own touches of color, and repurposed materials, like our massive campfire from the top of an old water tower. 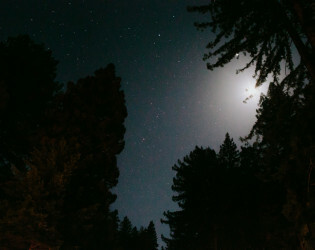 Lighting is subtle and appropriate but enough to feel safe though we also want you to see the brilliant stars at night. Nature is center stage as you have your own 200 acre private Redwood Forest and River as well as deer frequently rambling about and hawks soaring above and owls hooting throughout the night. 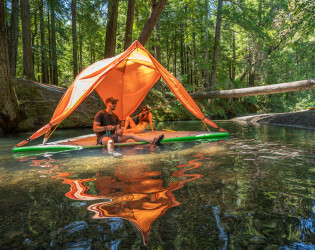 Numerous swimming holes and rope swing are found along are 1/2 mile of river front. Our massive 4500 square foot dining, dance and meeting hall as well as a 2 acre outdoor glass plaza are the heart and soul of the property and will accomodate most any event need. 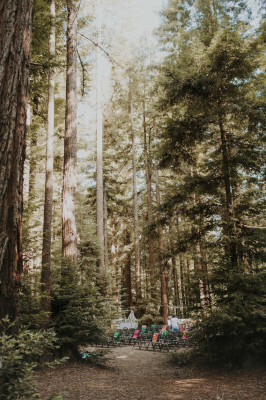 A 7 foot BBQ and wood fired pizza oven get plenty of use as does our inviting campfire area. 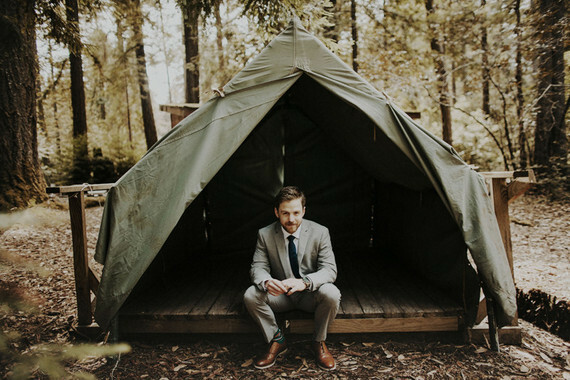 Ownership and key staff have a long storied history in the hospitality, event and outdoor industry so you will be well taken care of. 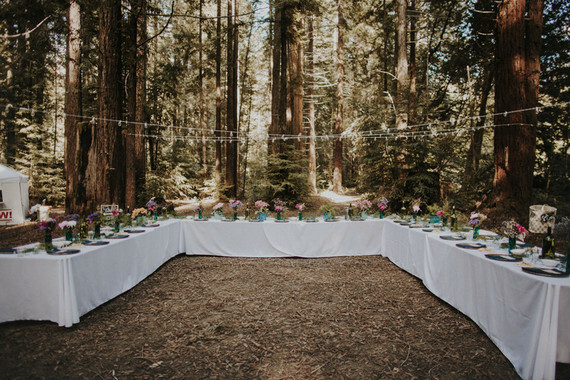 We have 60 tables, 400+ chairs, 20 picnic tables, redwood benches, hammocks, serving plates/bowls/cups and utensils, games galore and an archery and rifle range. 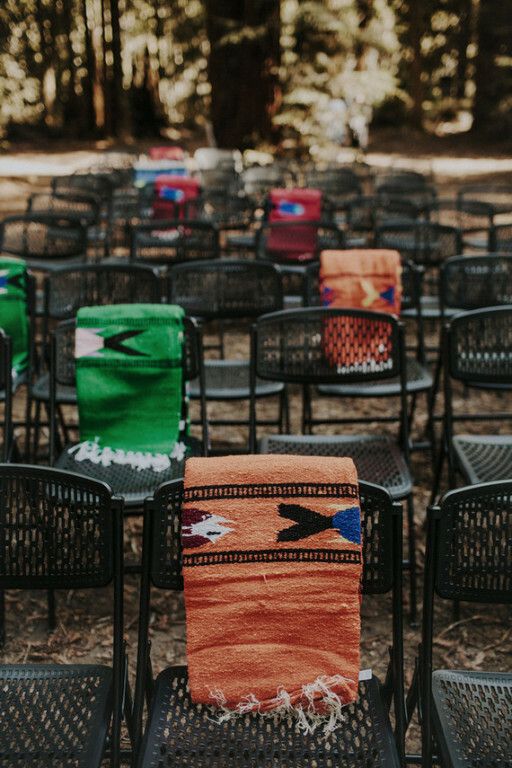 We also include a small professional sound system, AV equipment and a built in main stage plus two other smaller auxillary built in stages. Awards & Notables Camp Navarro has a prestigous client list and has been featured nationally and internationally in the press. 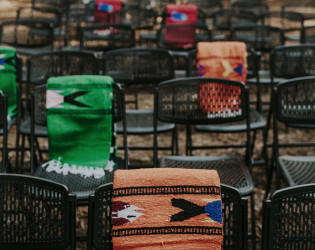 New York Times, The Atlantic, Forbes, The New Yorker, Huffington Post, Al Jazeera, NPR, Fox News, Fortune, Fast Company. We are the original home of Camp Grounded, a globally recognized tech-free adult summer camp. 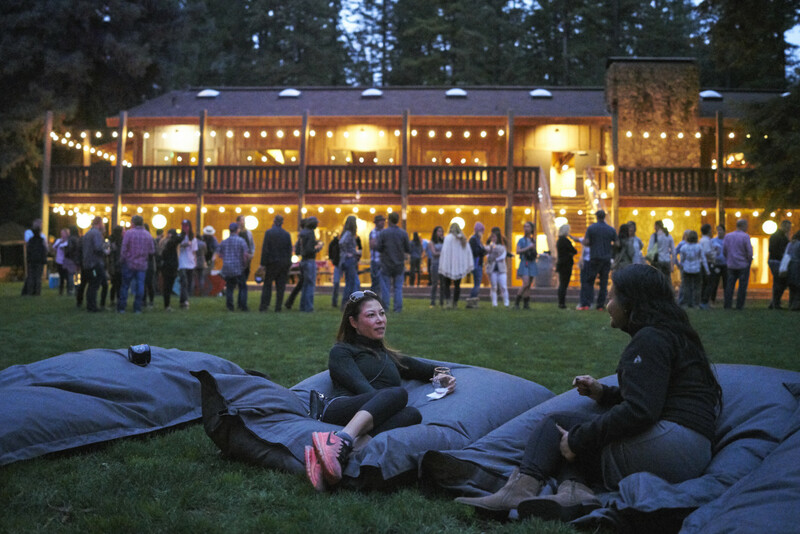 We also host camps and retreats for Google, Linkedin, Wix, Task Rabbit, IMGUR, Y Combinator , Red Bull, The North Face, Capital One, You Tube, Airbnb, and other notable companies. 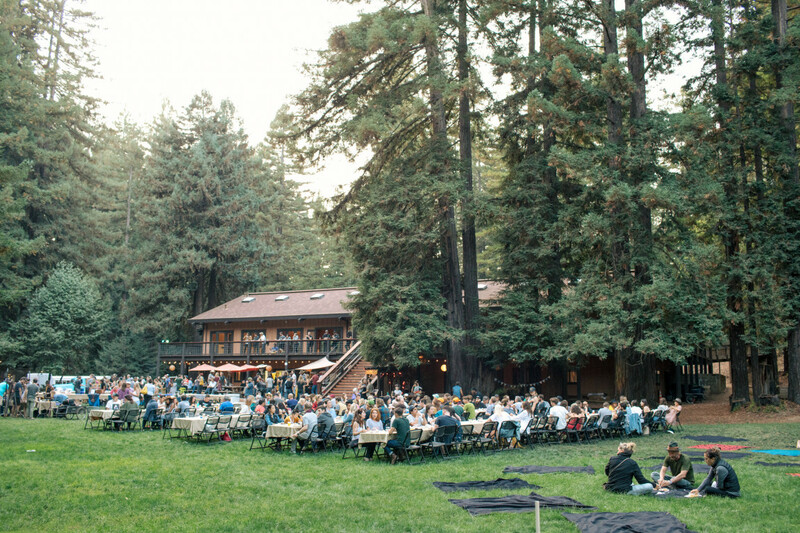 Some of our notable festivals and conferences include The Redwood Ramble, The Outpost, Meadowlands, Camp Deep End and we are the home of the Anderson Valley Pinot Festival. 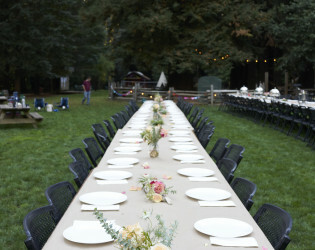 We do catering out of our own private kitchen or our mobile BBQ , pizza oven and Kitchen. 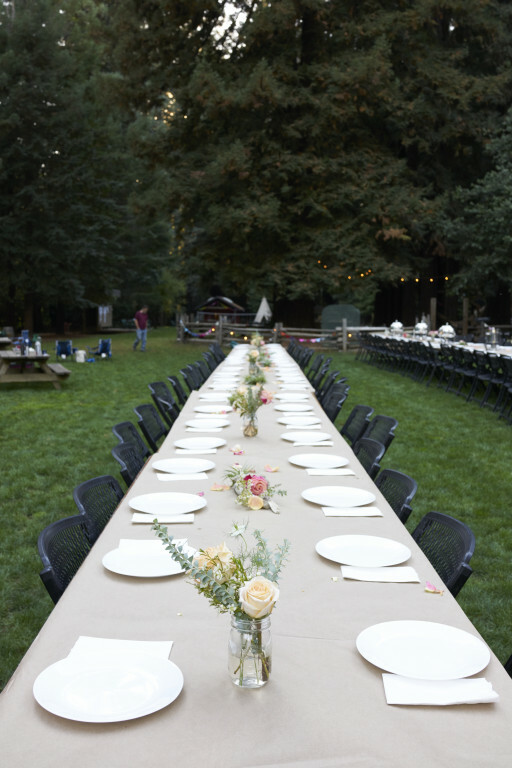 We take pride in cooking from 'down home' to upscale to accommodate all our varied guests needs and vision. 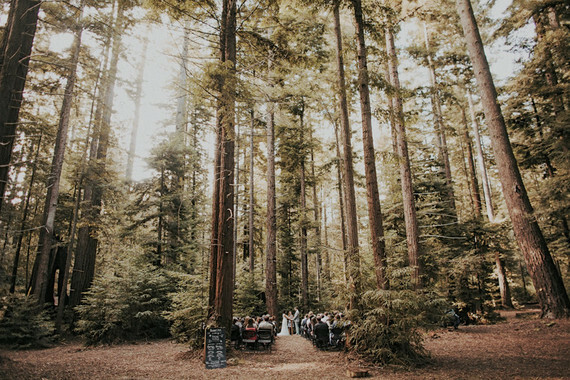 We also have a Cafe which can serve morning organic coffee, pastries, and other treats and throughout the day serves as a destination for snacks, light meals, and other light catered options. 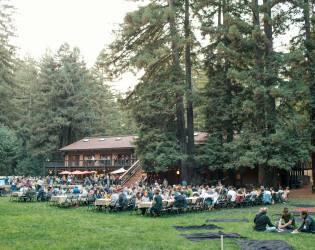 Camp Navarro has a wine and beer license and serves high quality local product whenever possible including Goldeneye, Roederer Estate, Balo, Navarro Vineyards, and Anderson Valley Brewery. 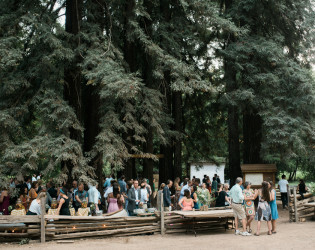 We have up to three bars located on our Event Plaza grass area and inside our main lodge and cafe. 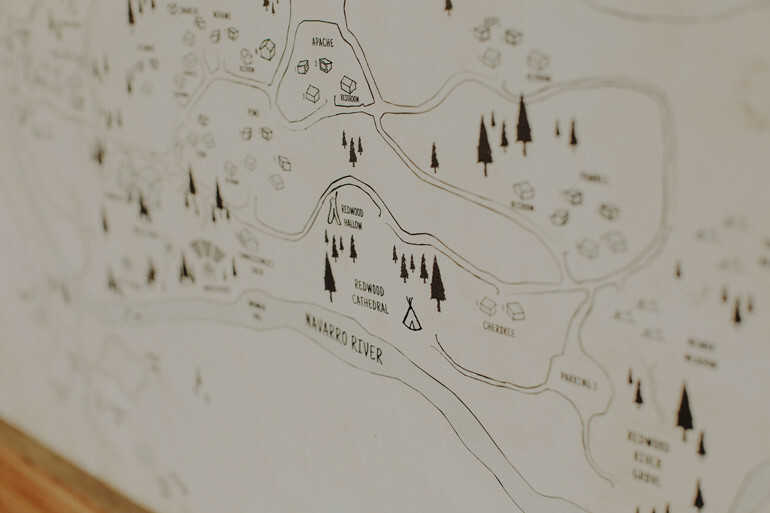 Wooden directional sign at Camp Navarro. 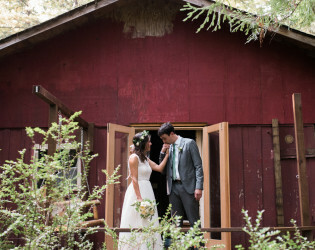 Red cabin, great for first looks. Perfect venue for couples who love the outdoors. 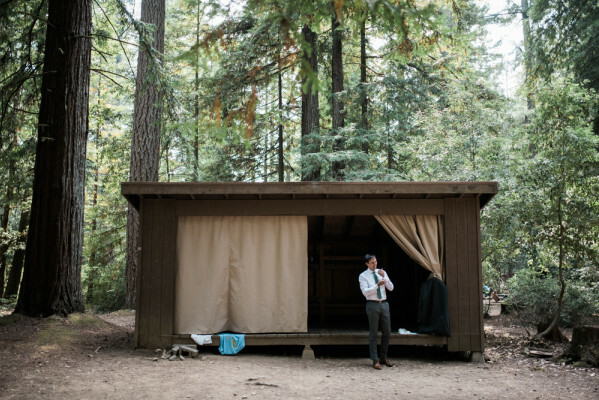 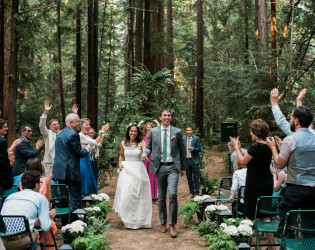 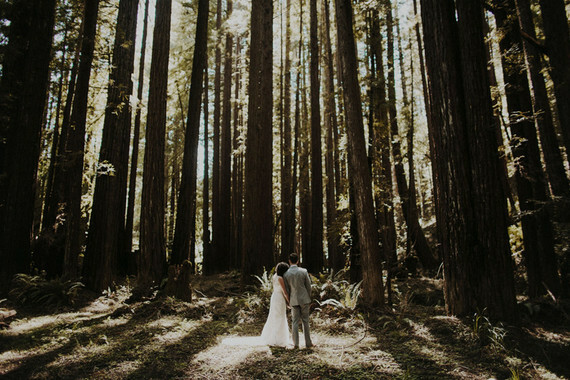 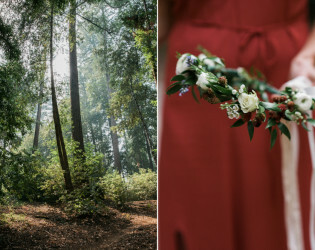 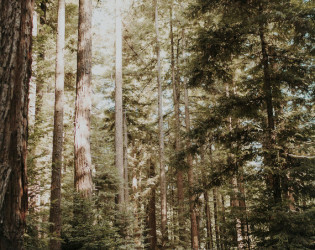 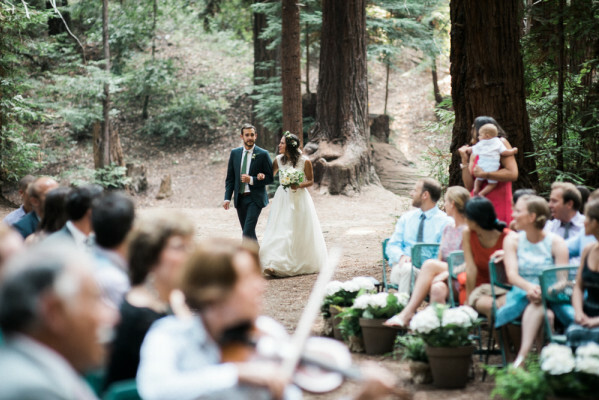 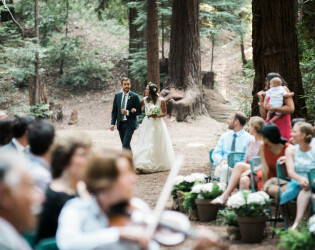 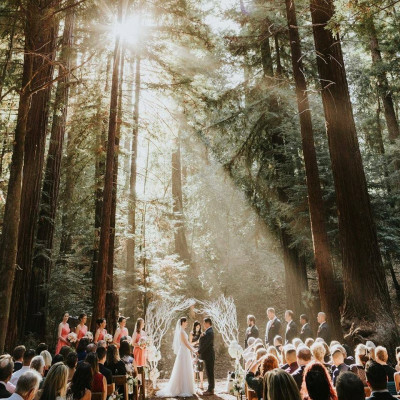 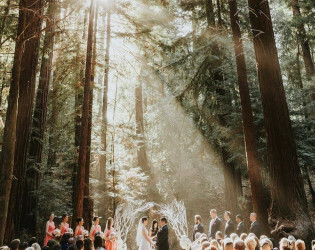 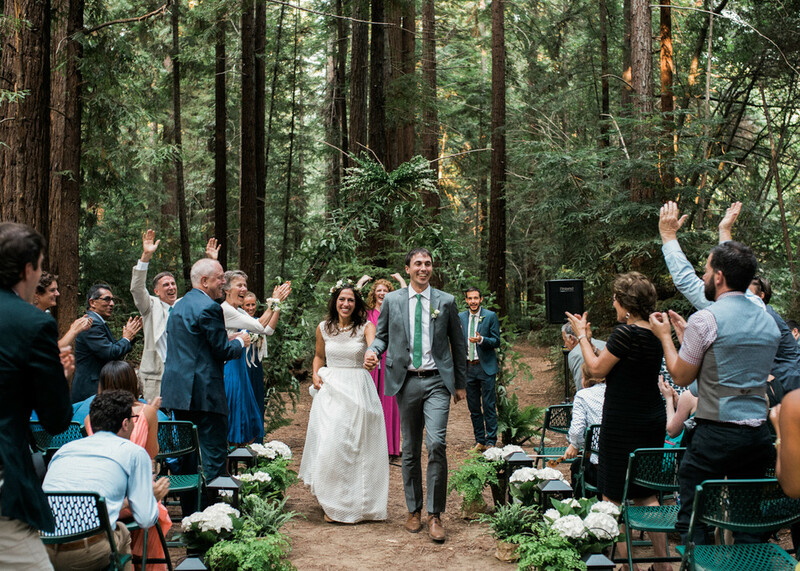 Imagine getting married in the redwoods with beautiful trees surrounding you and your loved ones. 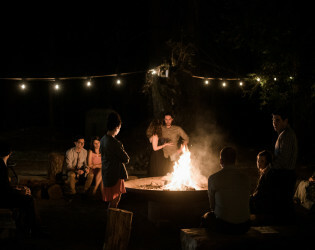 Bonfire to end the night. 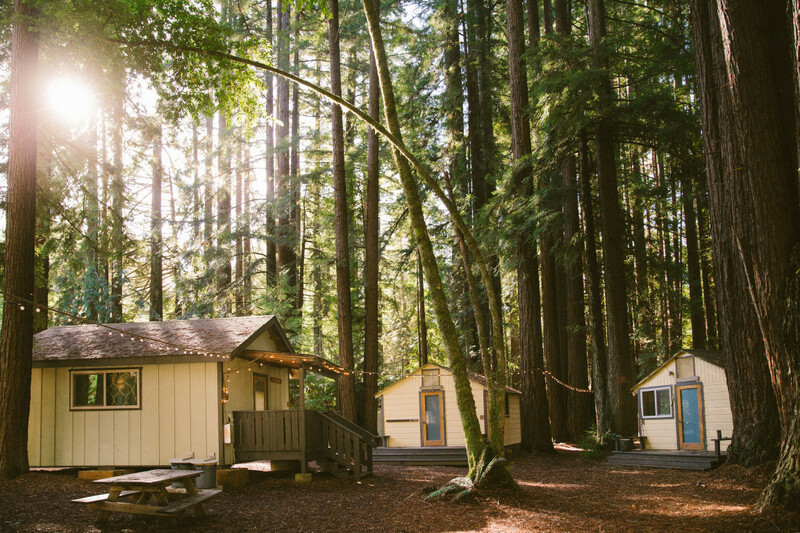 Nothing too fancy is needed when you have a camp property as classic and nostalgic as Camp Navarro. 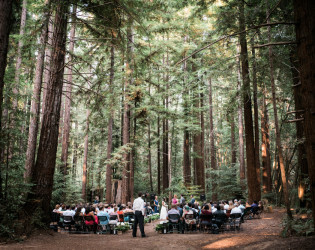 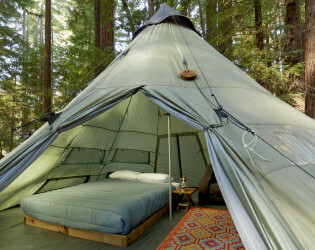 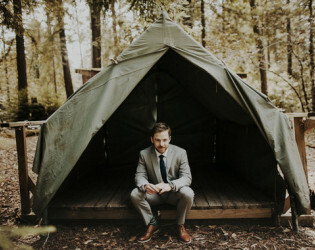 A historic former Scout camp situated on 80 acres in the Redwoods of the Anderson Valley wine country. 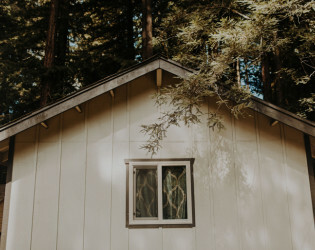 Redwood trees, a friendly meandering river, quaint idyllic accommodations including lots of bunk beds, and a massive two story lodge are the cornerstones of our property. Mexican blankets to keep your guests warm. 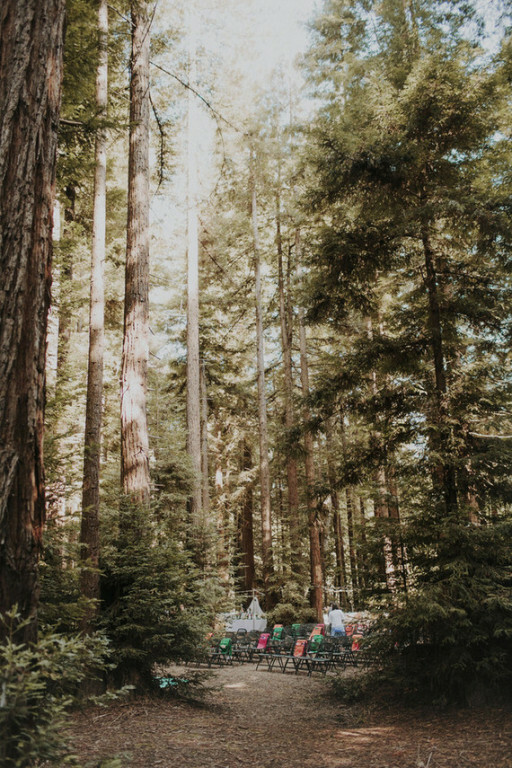 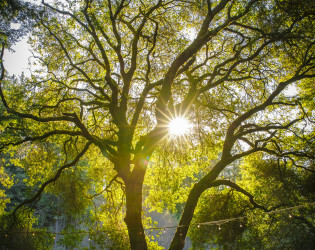 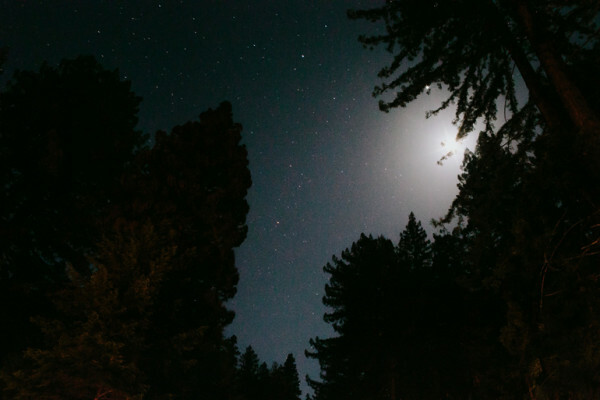 Looking up at the TALL trees, breathing the clean crisp air, and settling in to your cozy cabin or Adirondack campsite is immediately grounding. 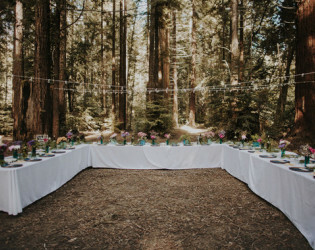 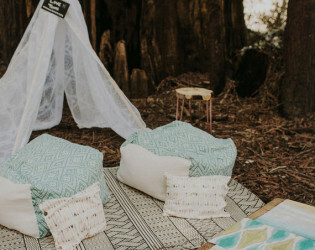 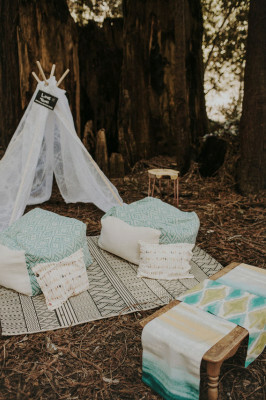 Your very own forest wedding. Classic wood signs, knotty picnic tables, string lights, scout troop signs, expansive decks, and idyllic cabins are all part of the design. 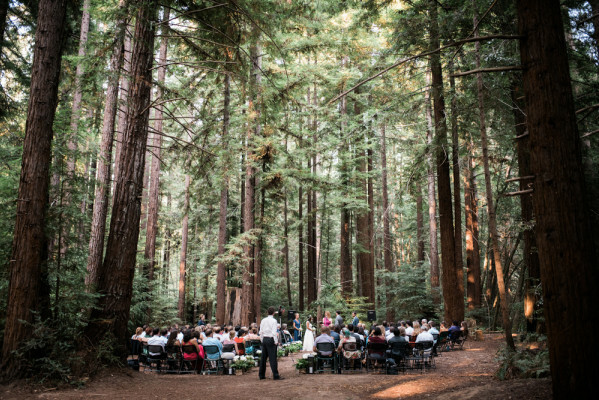 Nature is center stage as you have your own private Redwood forest, river and often deer, turkeys and owls meandering about. 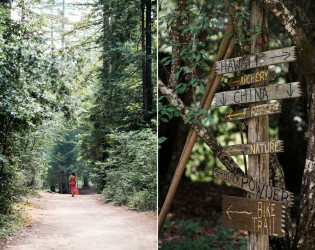 Stepping foot on our 80 acre property will quickly slow you down, rekindle childhood memories and bond folks quickly. 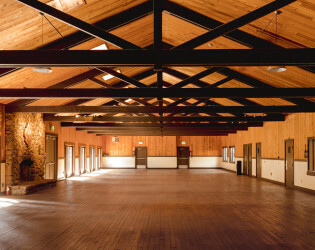 Our 10,000 Sq/ft. 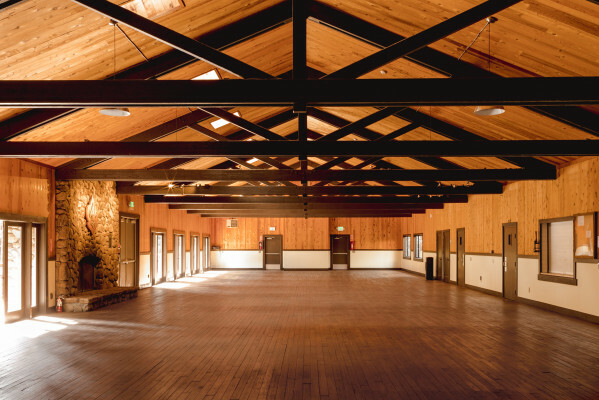 two level lodge contains a 4000 SF dining room and dance hall with old growth redwood flooring, massive fireplace and historic artwork.